Back in 2000, when DK publishers released the second edition of Gemstone, I bought it. The little 160-page book covered 130 gems. A mini encyclopedia, it reviewed everything with concise direct text and loads of pictures and graphs. Teenagers may have been the intended audience for the publication, but I found it irresistible. 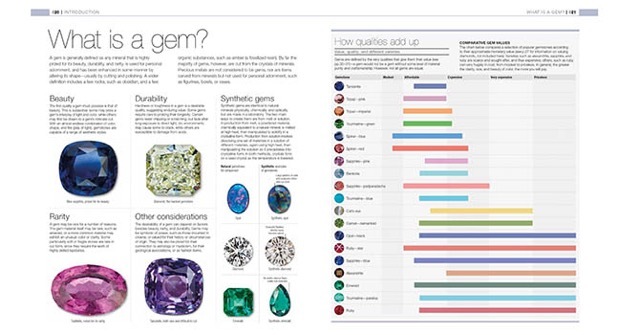 The dynamic layout and gems tidily group together in glorious colors just grabbed me. It made the science of stones fun. I am not alone in my affection for the little book. The publications sold over five million copies worldwide. You read that right, five million copies. 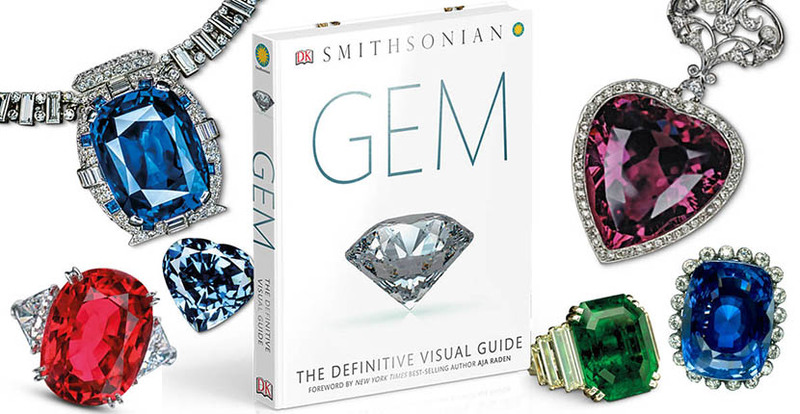 Now the publisher has released an epic new book, Gem: The Definitive Visual Guide in collaboration with The Smithsonian. It is executed in the same delightful style as Gemstone but there is more information, lots more. Gems are covered from A to Z. Styles of jewelry over the centuries and from around the world are reviewed. To name but a few, there is Renaissance jewelry, Indian jewelry and ancient Egyptian styles. The science of minerals and metals is gathered together in a captivating manner. Several of the most exciting sections are true jewelry history stories that seem almost too fantastical to be real. 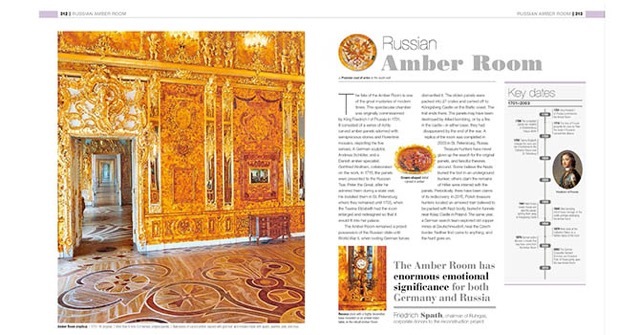 One of the most amazing reviews the saga of the Russian Amber Room. There are also the tales of Marie Antoinette diamond earrings, the Hope Diamond and the Koh-I-Nor among many others. The 440-page book is at once chic and encyclopedic. The section devoted to gold, for example, has all kinds of stylish jewels illustrating the academic points including a 1939 winged brooch by Verdura, a contemporary Cartier panther ring as well as ancient Greek and Roman treasures. There is also a quote on gold by Shakespeare and a brief write up on Klimt’s 1907 portrait of Adele Bloch Bauer popularly known as the Woman in Gold. All of the pictures and story bring the eternal narrative of jewelry from the dawn of time up to the present seamlessly. The comprehensive quality of Gem truly makes the need for Wikipedia searches obsolete. All the information you want is in this book. It is as necessary an edition to any jewelry library as the encyclopedia once was to every household. If all of this was not enough, there is also a rip roaringly good foreword by Aja Raden author of The New York Times best-seller of Stoned, who writes about gemology and history more entertainingly than anyone. Her words will remind you why you fell in love with gems in the first place.